Boeing was always seen as the leader in the fight between Airbus and themselves to supply pure freighter aircraft to the airline industry. The demand for large freighter aircraft has dropped back considerably over the past couple of years, however Boeing has still managed to stay on top as the preferred supplier of wide and narrow body cargo aircraft. Airbus, even if seen as being only as a junior partner, seems to be getting back into the scene. Airbus, Elbe Flugzeugwerke (EFW) and ST Aerospace are the three companies involved in reviewing the defunct A320 P2F conversion programme. The previous plans were scrapped four years ago and are now being put back into place by Airbus and ST Aerospace. This time, however, with what they see as a much simpler design and production process. The new set-up will be lead by ST Aerospace, with Airbus acting only as a junior partner concentrating on such items as sourcing of aircraft and monitoring the effects of prior modifications on aircraft selected which were previously in passenger configeration. EFW along with others will carry through the conversions on the A320 and A321 aircraft. ST Aerospace thinks that there will be a need for up to 600 converted A320/A321-P2F aircraft within the next twenty years and their plans are to have the first conversion ready by 2018. There is no talk at the moment as to who the lead customer might be.. This is a direct challenge to the present Boeing 737 conversion programme and is aimed at offering what ST Aerospace and Airbus see as a replacement for the ageing Boeing 757 freighters. EFW, which is an Airbus daughter company and Airbus had a previous agreement with Russia’s United Aircraft and AerCap to convert A320s into freighters. This fell through as the programme fell behind schedule and was cancelled in 2011. ST Aerospace which is headquartered in Singapore plans to increase their holding in Dresden based EFW from 35 percent up to 55 percent in the near future. This is seen as a sign of confidence by ST Aerospace in the future plans. ST Aerospace top man, Seth Ghee Lim was recently quoted as saying that he expects the joint company to spend up to nine months on fine tuning and developing the new prototype A32F conversion. Access to other production areas outside of Germany is seen to be realistic due to ST Aerospace’s facilities in China, Singapore and the USA. 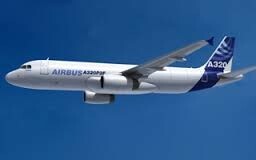 There seems to be no shortage of available A320/A321 passenger aircraft for freighter conversion in the coming years. Estimates show that between 2017-2018 up to 1,700 ageing A320s and 450 A321s will be available on the market. A “pick and chose” market for conversion it seems. 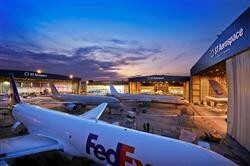 It remains to be seen as to whether Boeing have got a better hold on the medium and short haul freighter market. Boeing 737 conversions are also in full swing. Previously it was the 737-300 and -400 aircraft which were converted and now the attention moves to the longer, larger 737-700 type. Airbus seems convinced that the A320/A321 has a future and offers customers who opt for it many advantages. The A321-P2F for example is planned with a class E cargo compartment with 13.5 containers on the main deck and an overall payload of 27 tons with a range of 3,520 kilometers. The A320-P2F comes in slightly lighter with a 21 ton payload spread over 10.5 main deck containers and belly space. Airbus had previously insisted that the main cargo door be situated at the rear. This will now change to a forward placed door. Tom Williams, Airbus Chief Operating Officer said that the previous (abandoned) A320-P2F was totally over-designed and the placement of the main cargo door at rear was a crucial design flaw at that time. The new version designed along with ST Aerospace will be much simpler and pragmatic aircraft, he said. Airbus still offers the market the larger A330-200F which so far has not proven to be a serious competitor to Boeing’s 777F. Will Airbus manage change this on the short - medium haul freighter sector?